On this excursion we learn about the history of Copenhagen's most iconic locations, symbols of the city that have become famous around the world. 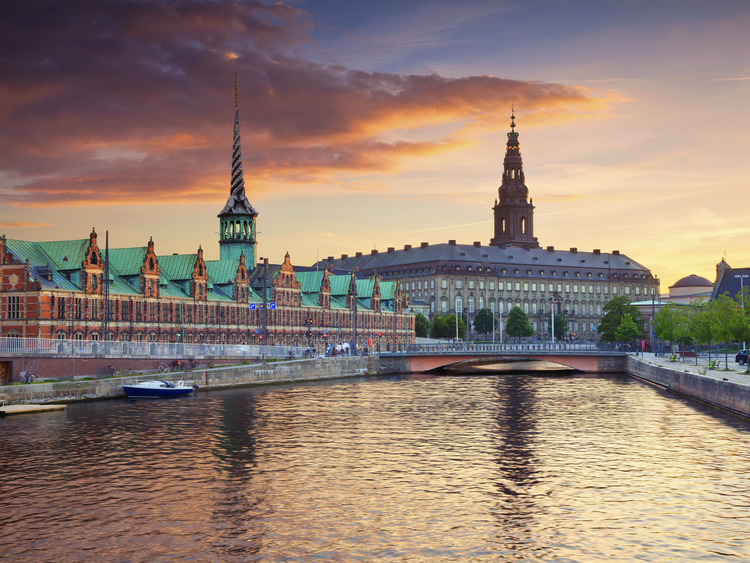 Christiansborg Palace, the "Island of Power"
We reach Copenhagen, the enchanting capital of the world's oldest kingdom, a city where history, tradition and the modern world are interwoven with the magic of fairy tales. Our first "port of call" is the world-famous statue of the Little Mermaid inspired by the story by Hans Christian Andersen. Since 1913, she has sat on the harbour rocks welcoming travellers from all over the world and inspiring them with her tale of love and sacrifice. But there is more to her story than fairy tales: covered in pink paint, twice decapitated, deprived of an arm, narrowly escaping being blown to pieces, and even transported to China for the Shanghai Expo - our dear Little Mermaid has led a colourful life! Next stop on the tour is the home of the Queen, Amalienborg Palace: four identical buildings, guarded by soldiers in traditional bearskin hats. In the palace grounds, the statue of King Frederick V, on horseback depicted as a Roman emperor, is considered one of the most important equestrian statues in the world. Next on our itinerary is Christiansborg Palace on the islet of Slotsholmen, which, being home to Denmark's most important institutions, is fittingly nicknamed the "Island of Power". Before heading to the airport to catch your flight home, we will have a short city tour, passing by Rosenborg, Town Hall and Tivoli Gardens. Our excursion concludes at the airport where staff will explain how to collect your bags and make your way to the check-in desks. This excursion is available to guests whose flights depart after 15.00. Christiansborg Palace reserves the right to close its rooms to the public and cancel bookings whenever it is needed by the government or the royal family.